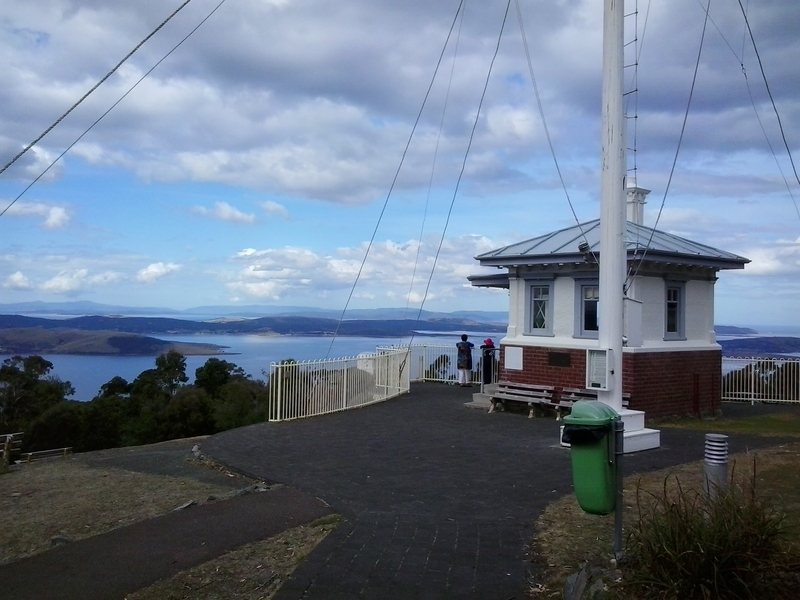 Overlooking the centre of the city of Hobart and with a view sweeping across to the eastern shore of the Derwent River, Mount Nelson is host to a significant historical site, the Mount Nelson Signal Station. Wikipedia provides the information that originally this rise in the landscape was named ‘Nelson’s Hill’ after botanist David Nelson, who sailed on the ship ‘Bounty’ which visited Van Diemens Land on its way to Tahiti (the ship that was involved in the infamous Mutiny on the Bounty). In geological form, Mount Nelson amounts to not much more than a low foothill, however its name gives an indication that something grand awaits you if you venture to the top. 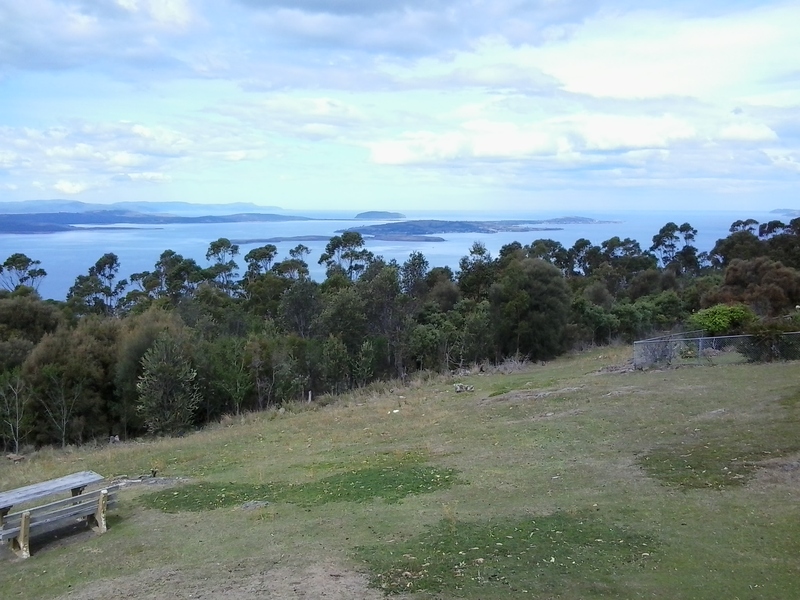 And such a visit is easy in a vehicle, or if you want to take an uphill walk from Hobart’s suburb of Sandy Bay. In addition, the Mount Nelson via Dynnyrne and Tolmans Hill Metro bus service can deliver you to your destination. If you like walking, you might choose to catch a bus to the top and then follow any one of a number of clearly marked tracks downhill. Yesterday I made a visit thanks to blog follower Je’s transport, accompanied by another follower Be who is visiting from Cairns. 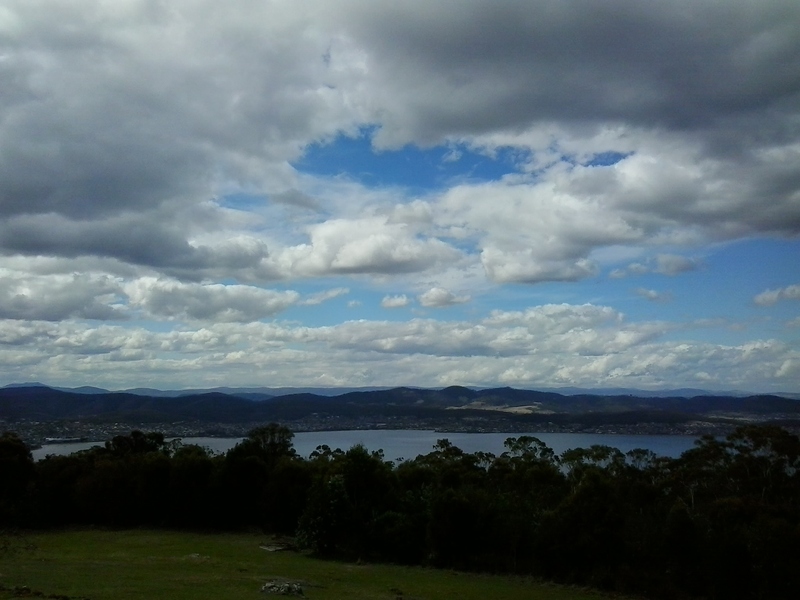 From different vantage points, the spectacle of the Derwent River spread out below, made us breathless with delight. 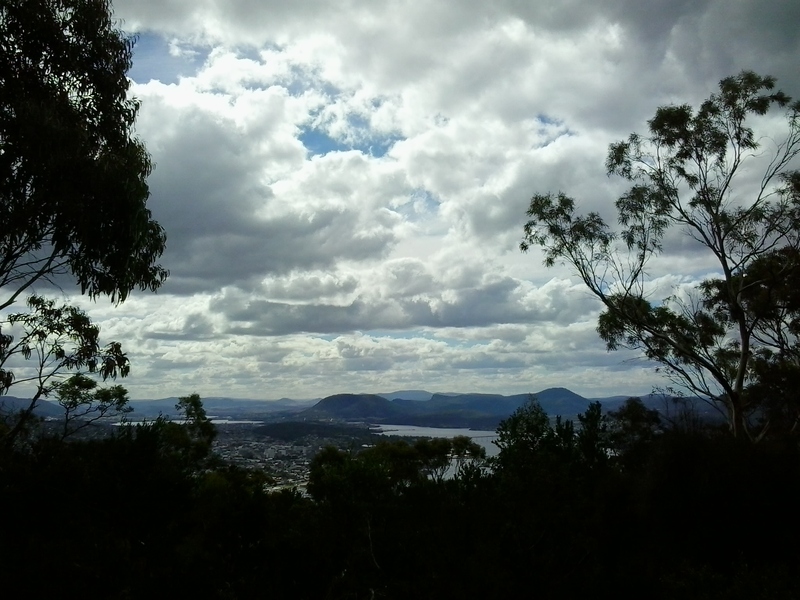 When I am walking at ground level along the Derwent River, the grand panoramas extending into the distance are denied me. But yesterday it was exciting to see the bays and hills further afield. 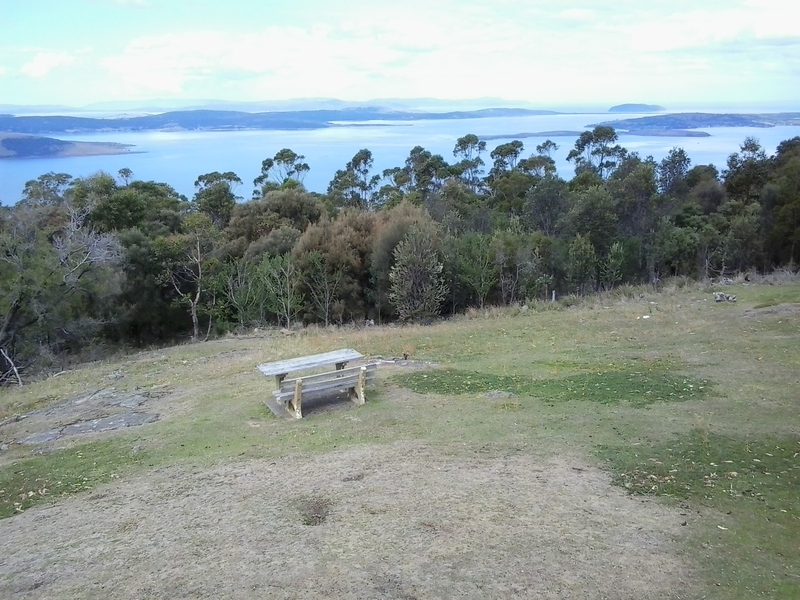 The photo above looks toward the mouth of the Derwent River on the eastern shore. South Arm peninsula can be seen extending along the water. 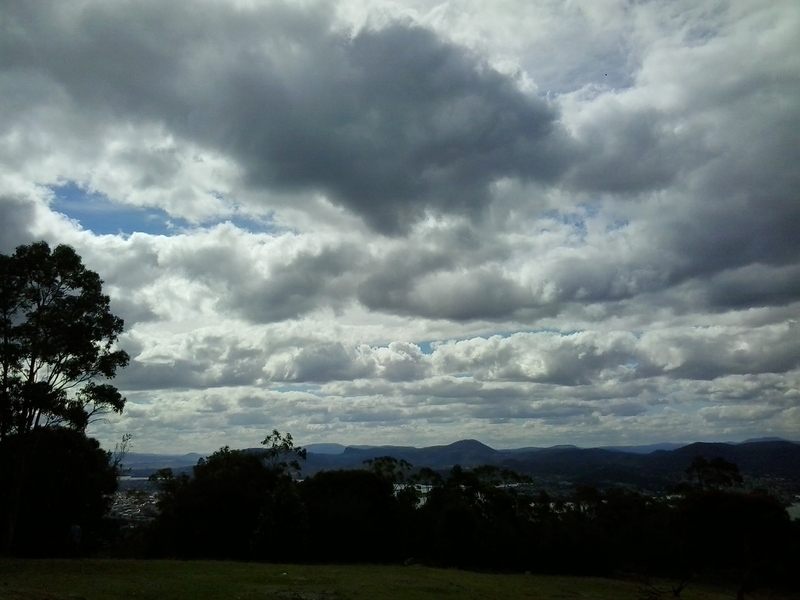 As I stood on Mount Nelson I could clearly identify the Iron Pot, Fort Direction Hill, South Arm Beach, Opossum Bay and its beach, and Gellibrand Point all of which I walked on during Stage 1 and 2 of my walk along the Derwent River. 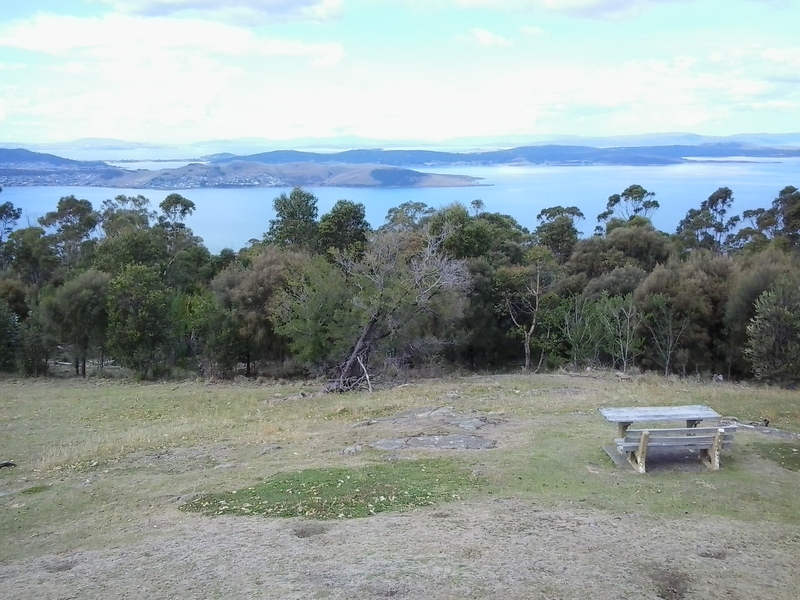 The photo above shows the eastern shore of the Derwent River with Gellibrand Point to the right on the northern tip of the South Arm peninsula. Then the great gaping space of Ralph’s Bay appeared straight ahead. To the left of the image, Trywork Point is in view; this was the starting point for Stage 3 of my walk (after I had walked there from the suburb of Tranmere). 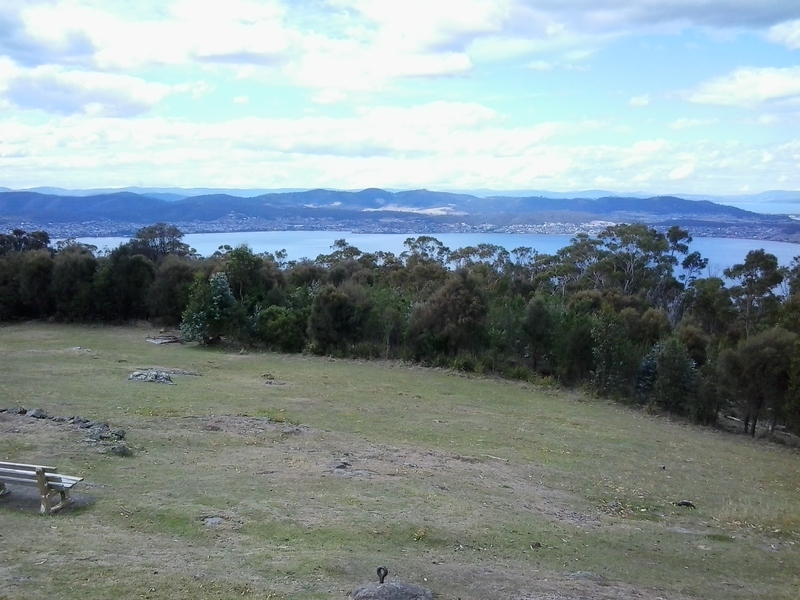 The photo above shows Ralphs Bay to the right, Trywork Point and then the suburb of Tranmere to the left – on the eastern shore of the Derwent River. 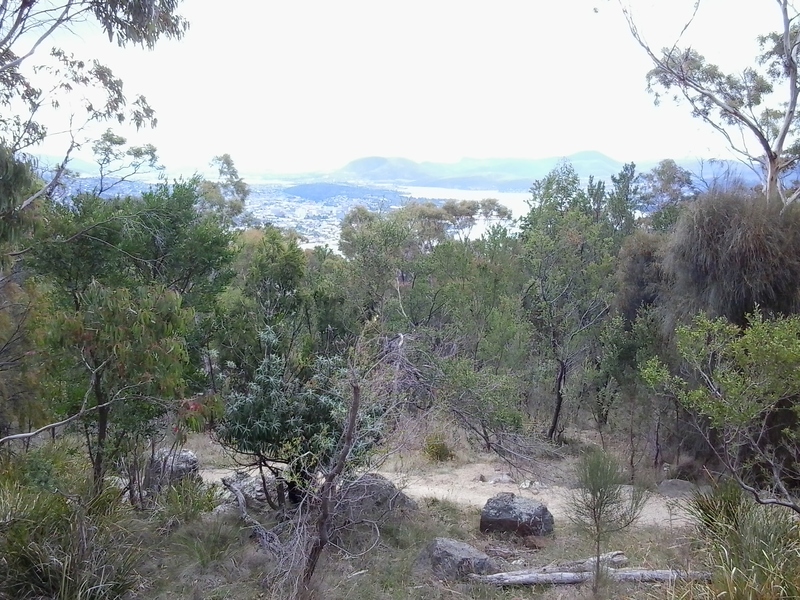 The photo above shows the eastern shore from Tranmere on the right, through the suburbs of Howrah to Bellerive on the left – the River edges which I walked during Stages 4 and 5. Across the parkland at the Mount Nelson Signal Station, native Wrens flitted around feeling safe as they hunted for insect meals on the ground. I enjoyed looking at information panels on the site and learning more about how the place operated. In addition, one panel showed the location of walking tracks. So … what is the history? Not long after Hobart was settled in the early 1800s, locals needed speedy and efficient communication between the convict settlement at Port Arthur and Hobart. In addition, Hobart residents wanted foreknowledge of sailing ships approaching from the ocean through Storm Bay and on their way to the Derwent River in case any provided a threat to trade or security. To gather this information, in 1811 the Mount Nelson Signal Station was established and designed to use semaphore. The method of communication was flags waving across the hills. Details about the semaphore flag signalling system can be read at http://www.anbg.gov.au/flags/semaphore.html. The site http://en.wikipedia.org/wiki/Semaphore_line provides further information. At the Mount Nelson Signal Station, flags were run up a pole – this seems a very cumbersome process compared to a person waving flags. I hope that someday the signal station will offer a demonstration to the public so I can understand the process. Give me a re-enactment please. This semaphore communication service continued in use until a more reliable system was available (what happened at the Signal Station on windy days, in wet weather and when clouds obscured the view?). 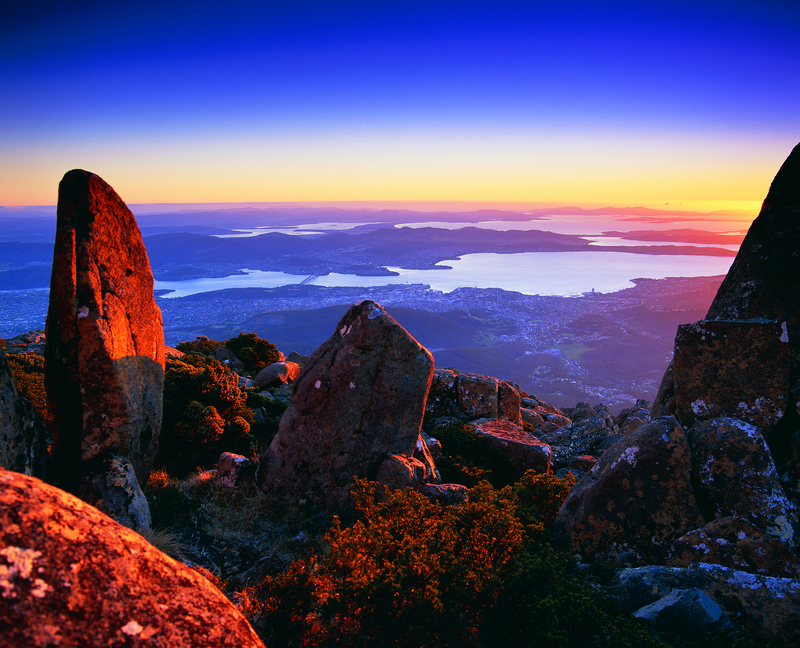 It was not until 1880 that a telephone line connected Hobart and Mount Nelson. Walking around the area is free of charge. Some pathways are provided. The site has various public amenities including picnic tables, public toilets, carpark, barbecues and a restaurant. 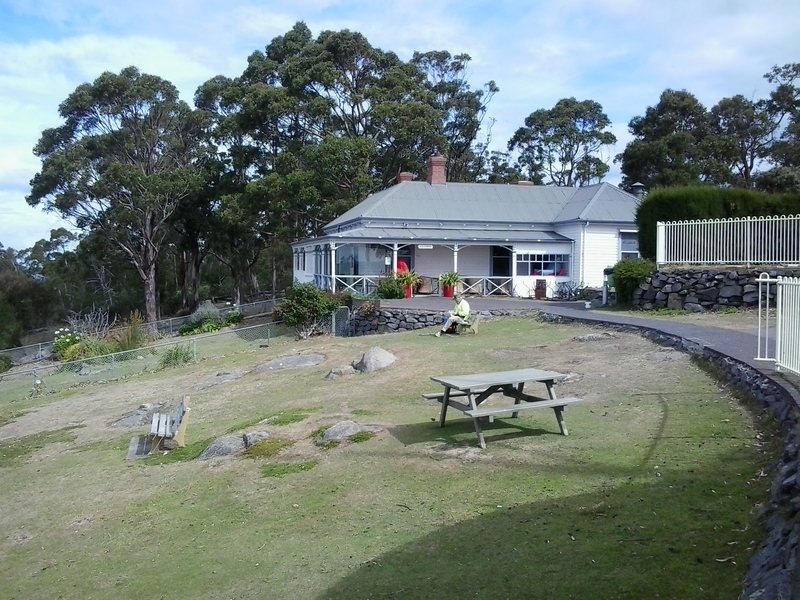 For further information about eating in the heritage building pictured above, go to http://www.signalstation.com.au. I recommend that you phone in advance if you are depending on eating there. Yesterday, despite permanent signs indicating the Brasserie was open, another sign on the building indicated it was closed. During my visit, clouds loomed powerfully over the city and river. The day light was so bright and strong that when I turned northwards and photographed the land and riverscapes, the sky glowed white. So I clicked a few images pointed at the sky and this silhouetted the landscape. Using my simple mobile phone as camera, I was never able to control the light of the images. Although these looked like rain clouds, it did not rain. These large puffs were just passing through. 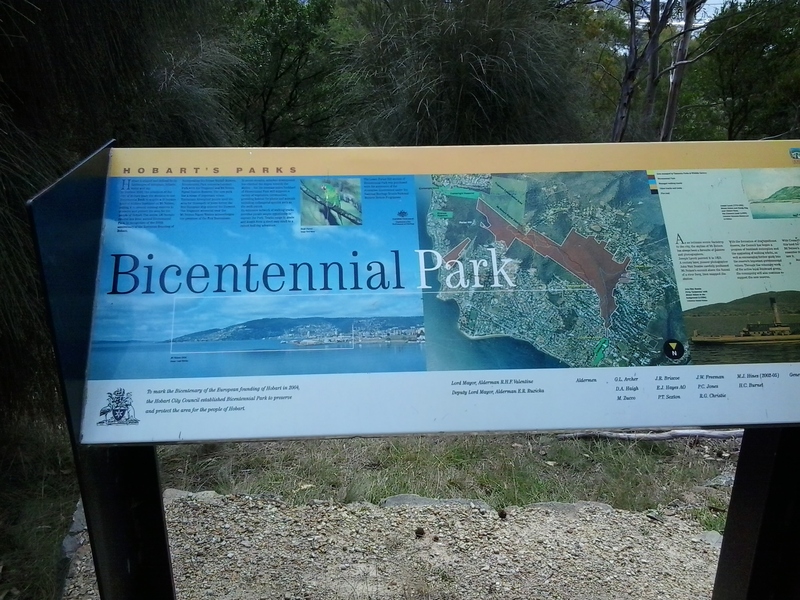 This entry was posted in Derwent River, Hobart, Tasmania, Walking and tagged Bellerive, Bounty, Brasserie, David Nelson, flags, Fort Direction Hill, Gellibrand Point, Howrah, Iron Pot, Metro bus, Mount Nelson, Mount Nelson Signal Station, Mutiny on the Bounty, Nelsons Hill, Opposum Bay, Port Arthur, Ralph's Bay, Sandy Bay Road, semaphore, South Arm, Storm Bay, Tahiti, Tranmere, Trywork Point, Van Diemen's Land, Wren on March 10, 2015 by Tasmanian traveller. I attended Hobart College during my exchange and we had a delightful tea one afternoon up at the signal station. Thanks for keeping my anticipation level high! That’s marvellous. But now I am not sure if I have any more stories of places you have been to keep your enthusiasm high. Anyway … you are almost here and can begin to generate your own continuing excitement.